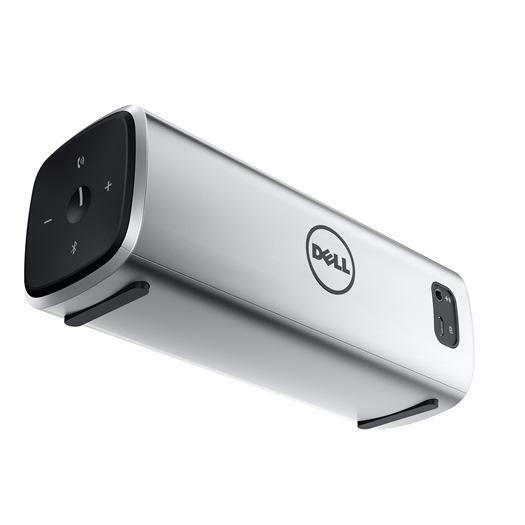 The Dell™ Bluetooth® Portable Speaker is a lightweight, go-anywhere, 5W wireless speaker that features aptX™ enabled Bluetooth® 4.0 connectivity with NFC technology. To wirelessly connect to your audio source, just tap your Bluetooth® playout device against the speaker; aptX codec technology ensures CD-like audio quality. With its long-lasting rechargeable battery, the AD211 provides up to 10 hours of continuous music.